Having moved to a new supplier - Outfox the Market - he was left confused by a string of price changes. "Their customer service was all over the place," said the 50-year-old, from East Sussex. "I don't know who to trust with it all now." The company is one of five new or smaller energy providers which have been given a customer service rating of less than two out of five by Citizens Advice in the final quarter of 2018. The others were Eversmart Energy, PFP Energy, Pure Planet and iSupply, although Pure Planet has argued that Citizens Advice's scoring method is outdated and unfair. Gillian Guy, chief executive of Citizens Advice, said: "We have seen too many companies who were completely unprepared to offer acceptable levels of service. A number of these have gone out of business in recent months, leaving customers worried, anxious and in some cases temporarily out of pocket." 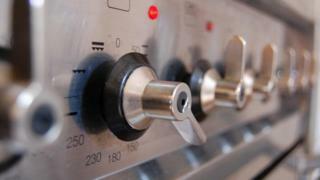 Ms Guy said: "Choosing a new energy supplier can be tricky for many people. Our star rating can help people make more informed choices about switching, not just going for the cheapest tariff." "In an increasingly competitive market, good customer service is just as important as price for many customers choosing their energy supplier. With 11 suppliers having exited the market since the start of last year - many of whom struggled with their customer service as well as financially - we agree that Ofgem needs to toughen the requirements for new and existing suppliers," he said. Ofgem has said there is "room for improvement" in the licensing regime so businesses are properly vetted before they start competing for customers. "Ofgem's new tests for suppliers wanting to enter the market will ensure consumers will be better protected against the risk of poor performance, while still allowing more competition and innovation in the energy market to benefit consumers," a spokeswoman for the regulator said. "Under the proposed changes, applications must also provide the regulator with a plan to meet their customer service obligations, including Ofgem's complaint handling standards and obligations to assist customers in vulnerable circumstances."